Massage in York city centre. 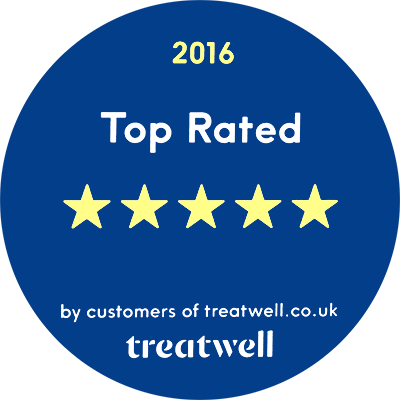 Multi award winning therapeutic and holistic treatments tailored for you. 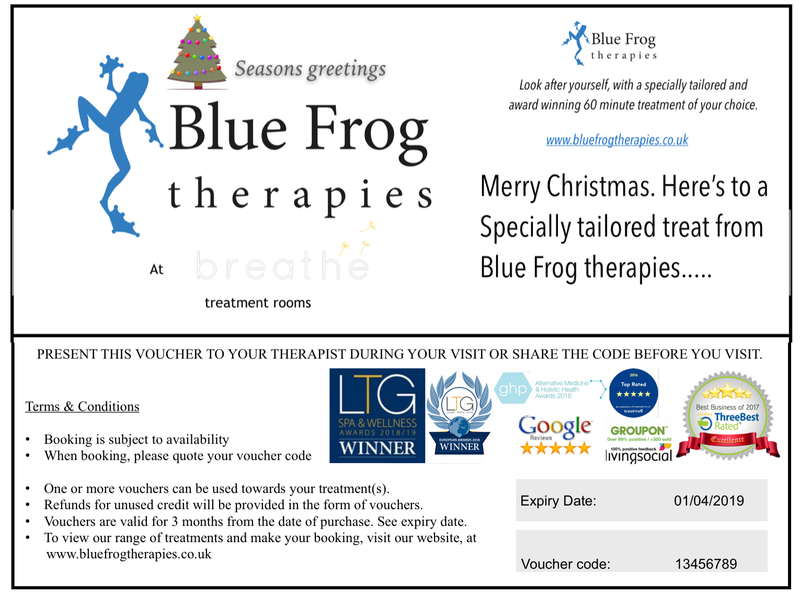 Welcome to Blue Frog therapies. York massage and holistic therapies in the city centre. Restore, relax or rebalance with a tailored massage. Treat persistent aches, or combine a soothing massage with guided relaxation to unwind. 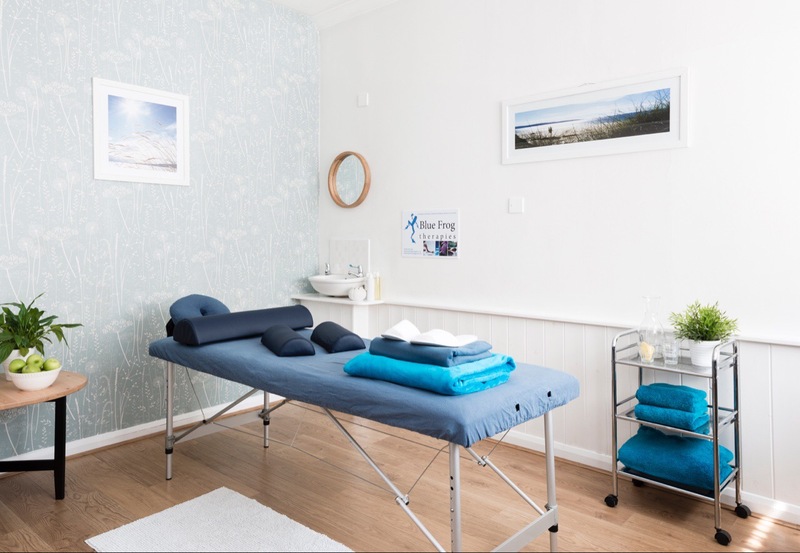 Tailored treatments combining your choice of Swedish, deep tissue, sports, therapeutic massage and meditation, relaxation and mindfulness. Discuss and tailor your session without reducing your therapy time. The chance to take time for yourself with a treatment made for you. Conveniently located within the heart of York yet hidden away from the bustle of everyday life. 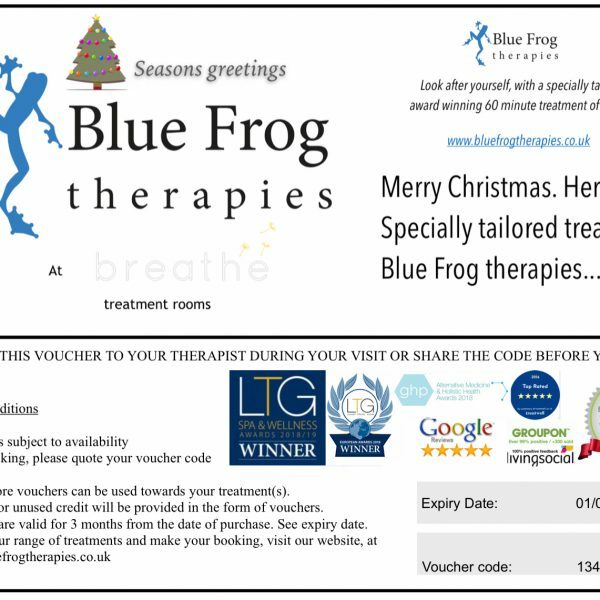 You will find Blue Frog therapies in the Breathe treatment rooms which is in the quiet courtyard of Millers Yard, Gillygate. 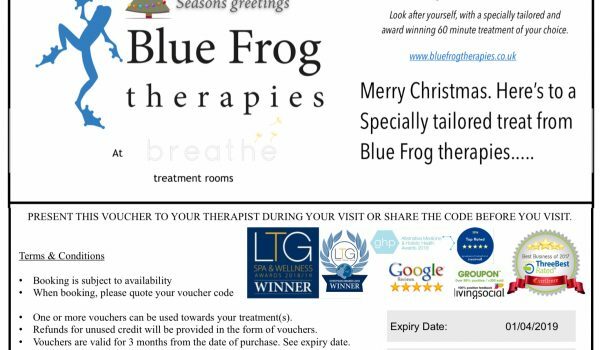 With multiple awards and more than 10 years’ experience in massage and holistic treatments, you can be assured that Blue Frog therapies are capable, professional and will treat you personally and with dignity. Therapeutic, relaxing, nourishing, personal, professional and restorative. Click on a treatment for details and to make a booking! “Massage is used by people for a variety of reasons. 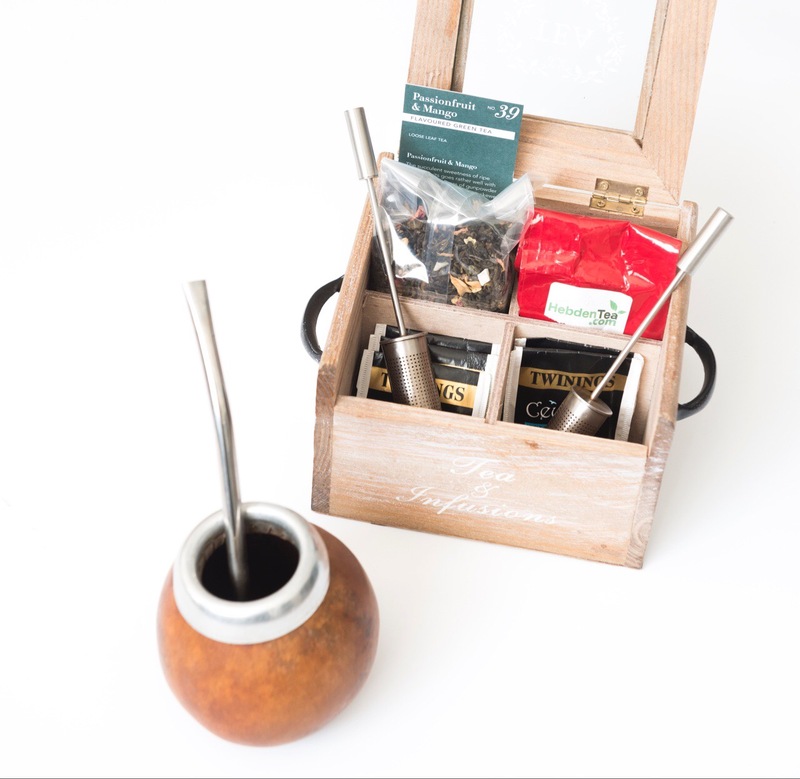 Some use it to simply relax and unwind, while others have regular massage to help them manage or cope with specific physical, mental or emotional problems. 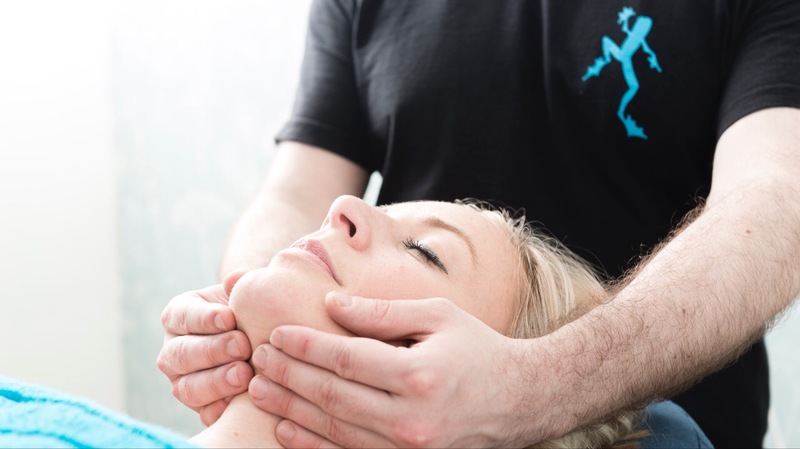 Many aspiring and professional athletes have massage before and after training and competing, in order to stay in optimum condition and aid recovery. Massage is a beneficial treatment for physical aches, pains and tension. However, it can also be beneficial as a relaxing, soothing and stress relieving therapy. 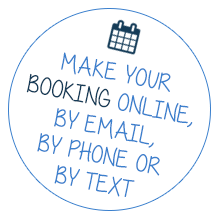 Each session is tailored to the individuals needs and situation. 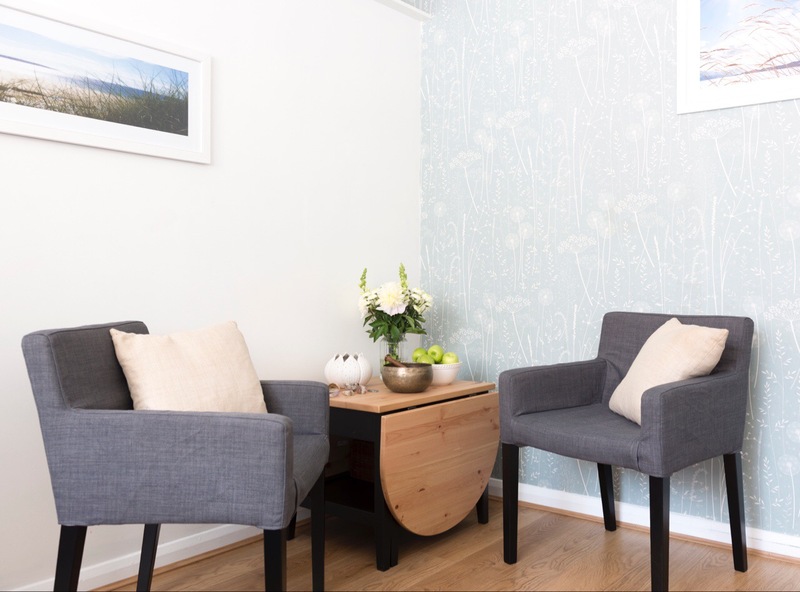 After a consultation enabling you to discuss the reason for your treatment, your therapist will use a variety of techniques and, if useful, styles of massage and holistic therapy to help you get the most from your session. Your consultation will not reduce your therapy time. 60 minutes or 90 minutes of individually tailored treatment. 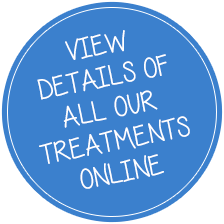 Combine treatments together, create the right treatment for you! Hot volcanic stones penetrate heat deep into the muscle, instantly relieving tension. 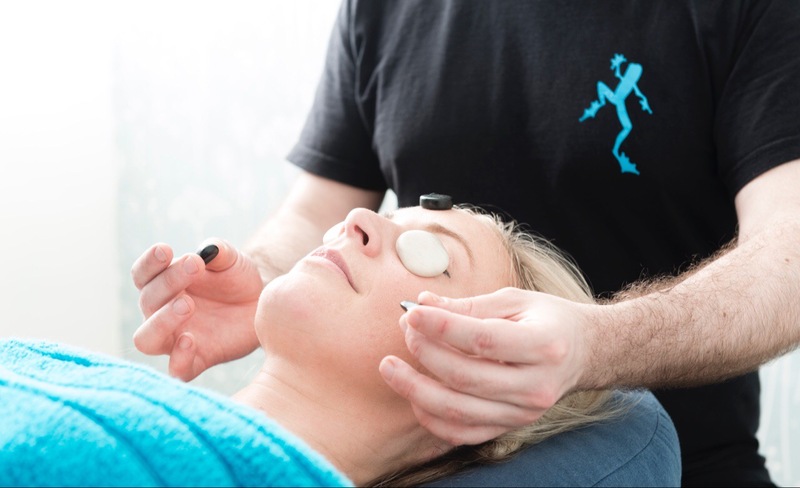 Using broad massage strokes to warm and stimulate muscles, the stones are then allowed to rest on the sore areas or points of tension allowing the warmth to penetrate deeply and soothingly. While cooled marble stones focus on problem areas stripping the muscles free of toxins. Enjoy an Ayurvedic facial massage complete with natural cleanser to refresh and envelope the skin. A toner is then gently applied to firm and to help improve the condition of your skin. 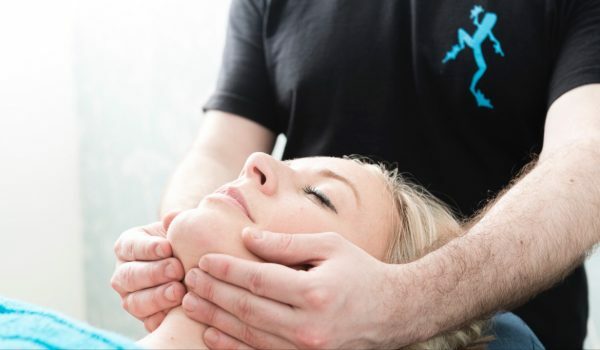 The thorough face and neck massage reduces toxins, clears the airways and relaxes muscles. Finally, whilst a gently warming face mask nourishes your skin and soothes you further, a scalp and head massage will help to relieve any final tension and stress leaving you relaxed, revived and rejuvenated. Combine with a back, neck and shoulder massage to complement your relaxation and relieve your body's tension as well. Choose one holistic therapy for your session. 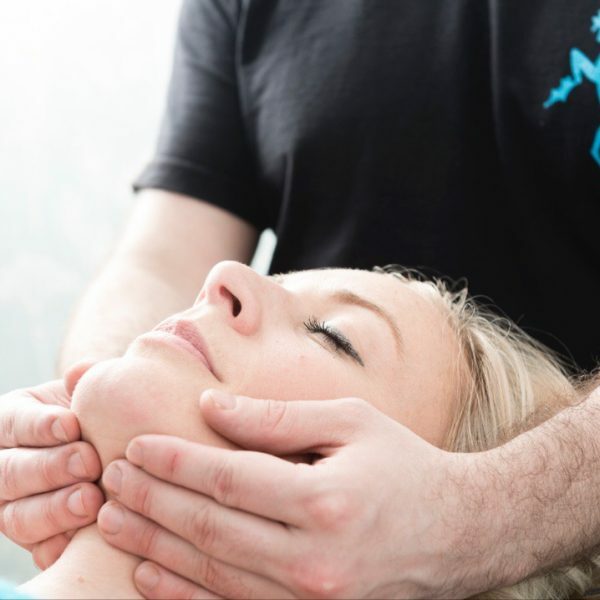 Reiki can be used when normal physical treatment is not suitable, for pain relief, relaxation and emotional stress. 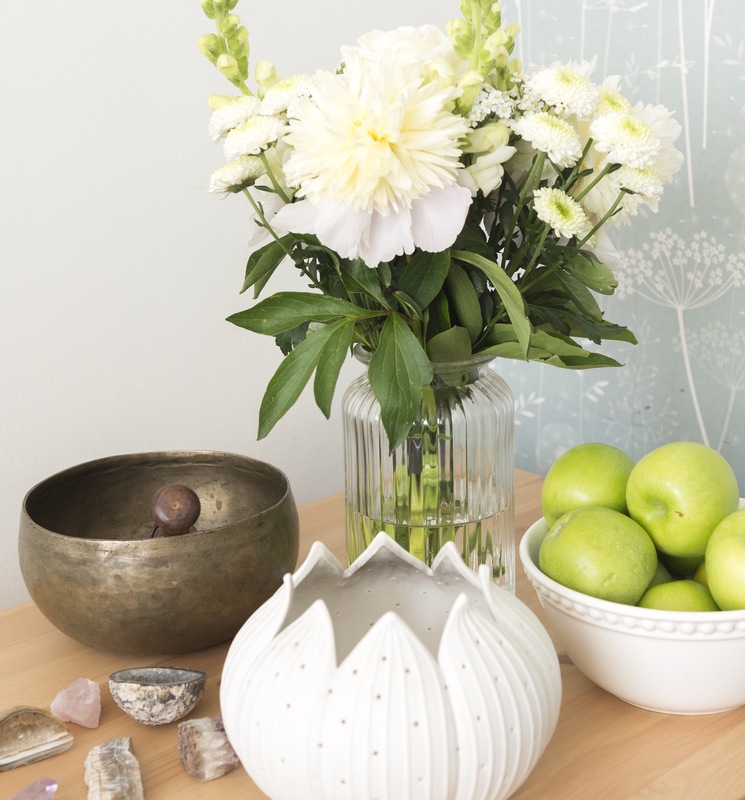 Guided meditation and guided relaxation sessions include some instruction and the session concludes with a guided meditation or relaxation tailored to your situation. Storytelling therapy takes the individual on a journey using their own symbols, metaphors or questions to help gain perspective, learn new strategies or consider a matter from a different framework. Each holistic therapy can be combined with massage to complement your sessions effectiveness.